The College of Business Undergraduate Graduation Celebration takes place Fri., June 16, from 2 – 4 pm at the Austin Hall Plaza (outdoor) and Austin Marketplace (indoor). This is chance for graduates to bring their families together at Austin Hall prior to the formal university event on Saturday. Greetings from Dean Mitzi Montoya at 3 pm. Refreshing drinks and light fare. RSVP here by May 31. *Please note: OSU Commencement is Sat., June 17. Details here. Graduate students and their families can attend this smaller, more intimate celebration of the graduate degree accomplishments in our home setting one day ahead of the OSU commencement. Dress is business attire. Reception immediately following Austin Hall Plaza (tented outdoors) and Austin Marketplace (indoor). Refreshing drinks and light fare. *Please note: OSU Commencement is Sat., June 17. Details here. 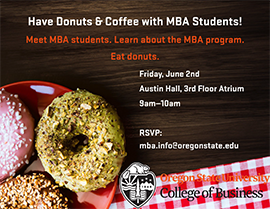 Join current MBA students for donuts and coffee. Learn about the MBA program, ask questions, and enjoy some breakfast treats. There also will be an MBA Info Session at 10 am. 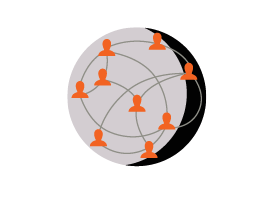 Register for one or both events by email: mba.info@oregonstate.edu. Johnstone Supply seeks a Demand Planner. Apply now. Ecampus seeks course-development summer student worker. Apply by May 31. DAMchic is recruiting for its editorial team. Apply by May 31. JoyRun seeks marketing and entrepreneurship interns for summer and/or fall. Apply here. Marketing Internship with WFG National Title Insurance. Apply here. Graphics Internship with WFG National Title Insurance. Apply here. Social Media Intern with Briggsby. Tax Internship with Hoffman, Stewart and Schmidt. Financial Representative Intern with Northwestern Mutual. • meet students from Australia, Austria, Chile, Czech Republic, Denmark, Germany, Hong Kong, The Netherlands, Norway, Singapore, Spain, Sweden, Thailand and more. The OSU COB Management Club Banquet is Friday, June 2, from 8:30 - 10:30 am. We are celebrating becoming a chartered SHRM Student Chapter and its affiliation with the professional Mid-Willamette HR Association! If you're interested in joining the Management Club and learning more about the field of HR Management, we'd love to have you attend. Contact the Management Club at management.association@oregonstate.edu to RSVP. Boost your involvement on campus and get some great experience along the way! 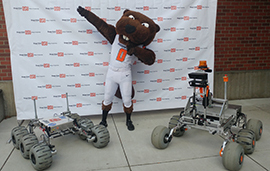 Come learn how you can help the Robotics Club as a business student. As the largest student organization on campus, with more than 200 members this year, there are plenty of ways to get involved. Work on real projects, with real money, real sponsors, and real robots. Come join us to talk with club leadership about opportunities next year. Save the Date: Fall 2017 Online Business classes are reserved for our Ecampus degree students only until Sept. 14. That morning (likely between 8-10 am) the +DSC coding will be removed so that Corvallis-based students may try to register for any remaining seats. Beta Alpha Psi the Accounting Honor society provides FREE tutoring for Financial & Managerial Accounting & Peer Advising in Austin Hall 228. Please check the website for the weekly schedule.